To get your Test details. 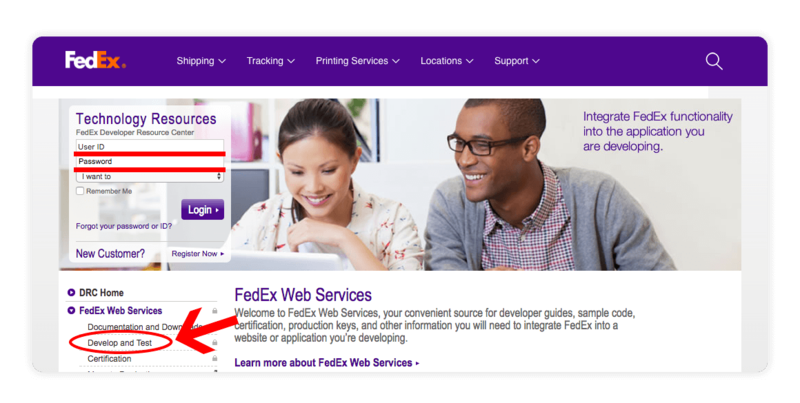 Go to your FedEx account at the FedEx developer Resource Center: http://www.fedex.com/us/developer/ and press on the FedEx Web Services link. Sign in to your account. Then On the left menu click the the Develop and Test link. Then scroll down and press the Get your test key button. 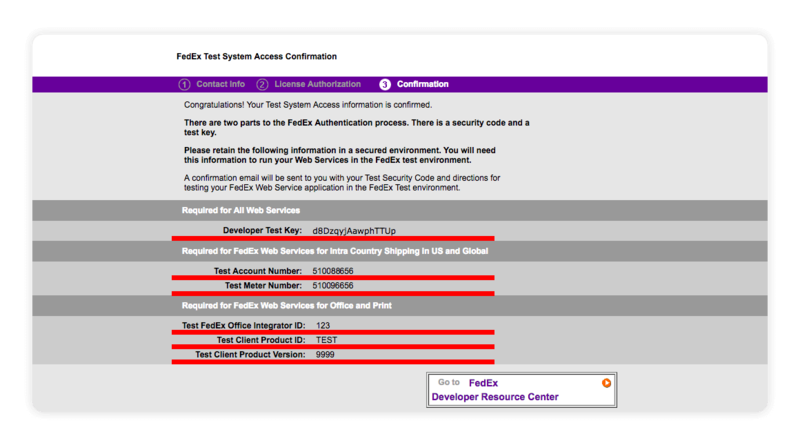 You will need to fill out the FedEx registration form before you can get your FedEx testing credentials. You now have your Test Details. Copy these as you will need them later. Now we will move to get your Production Details. 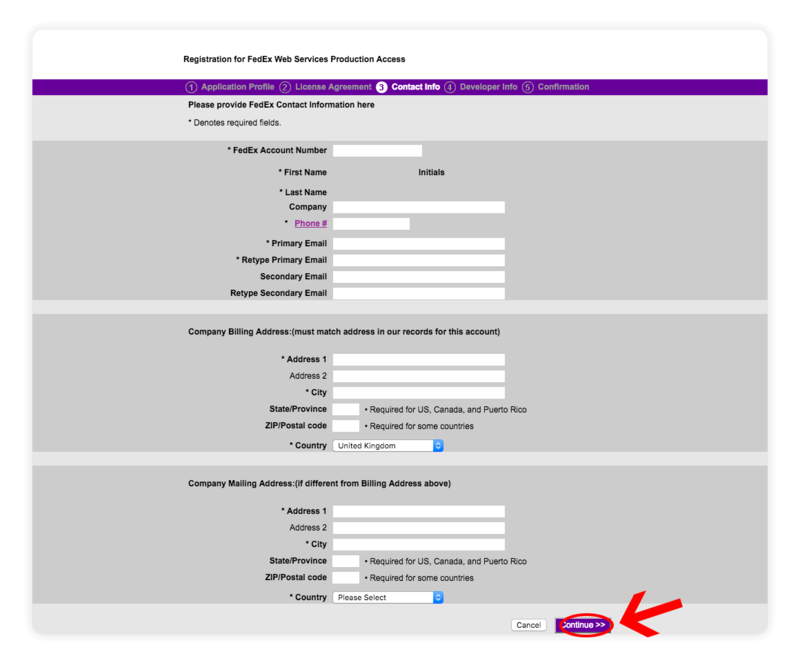 You will need to fill out the FedEx registration form before you can get your FedEx Meter Number. Below is the set of answers you will most likely be using. Q: Do you intend to resell your software? 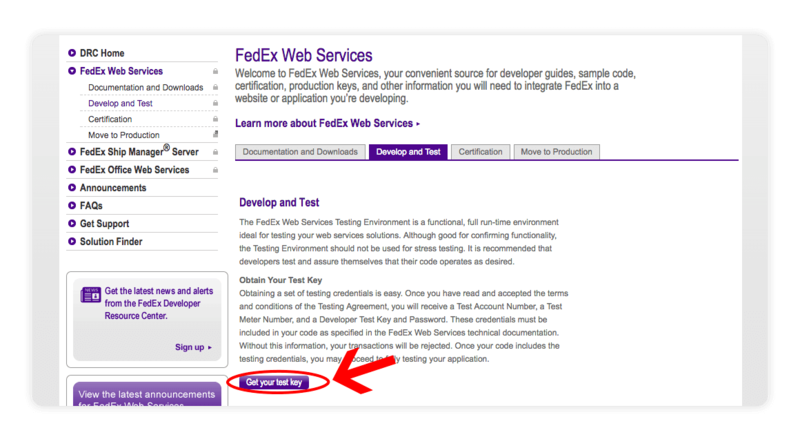 Q: Please check the box next to each type of FedEx web services you intend to use in your integration solution. 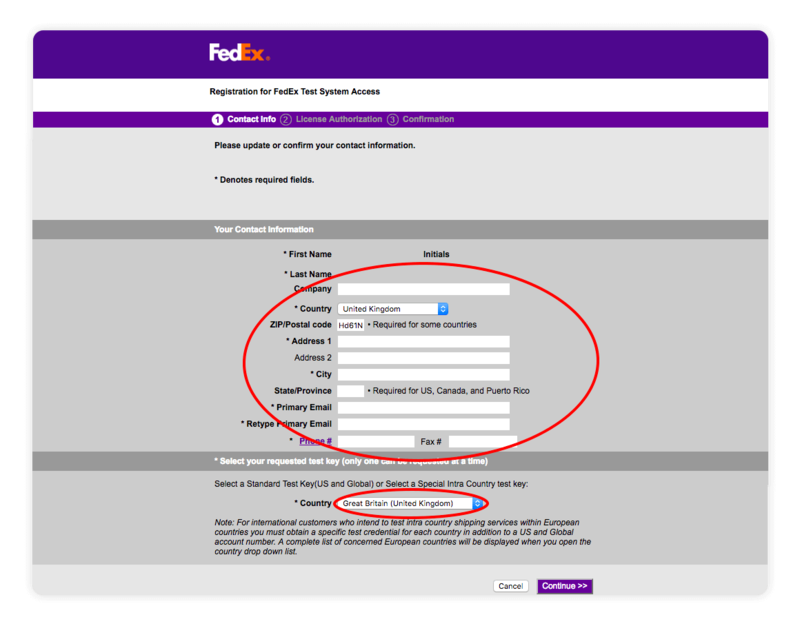 A: Select the “FedEx Web Services for Shipping (includes Rate, Track, etc. )” option. 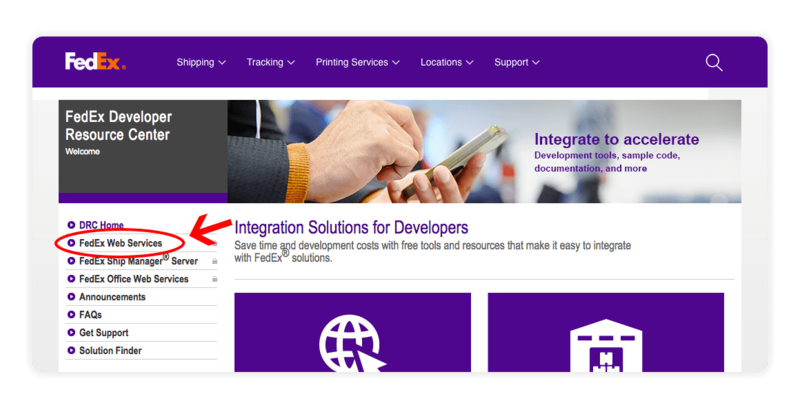 Q: Please indicate whether you are developing your FedEx integration solution as a Corporate Developer or as a Consultant. Fill in your contact information and continue through the Developer Info page. You now have your Meter Number and Authentication Key. 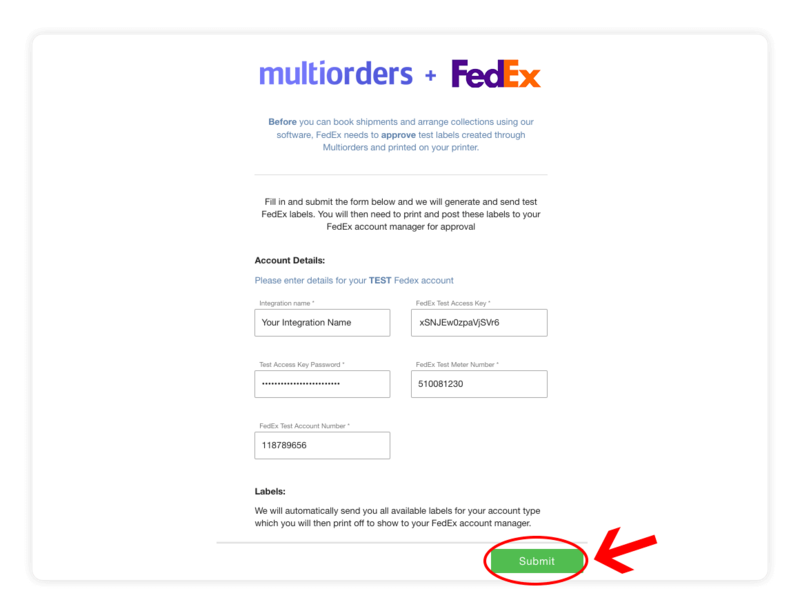 Additional details like the password and Production URL will come in an email you have provided to FedEx earlier. We will now proceed to integrate FedEx into Multiorders. Begin installing the integration and press next until it asks you to input your test details. You will need to print these labels and send them to your FedEx account manager who will then check the print quality and approve the label. 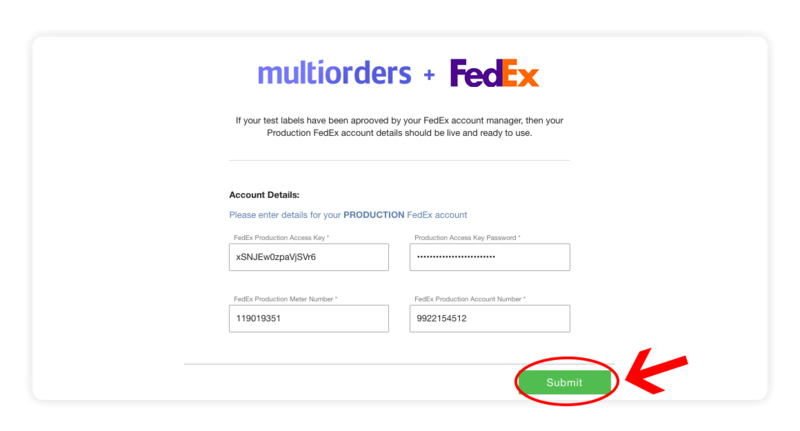 Once the labels have been approved by your FedEx account manager, you will be able to use your Production Account details to finish the integration process. In the new pop-up window fill in your Production Details which you should have received from FedEx earlier in the guide, and press Submit. You have now integrated FedEx into Multiorders. If anything went wrong or you have further questions please get in touch with our support team.